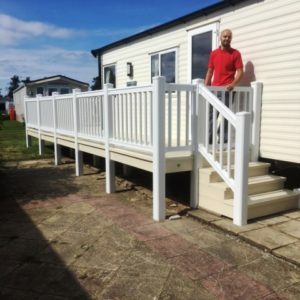 You are here Home » Case Studies » A new ‘Dimension’ in PVCu decking! 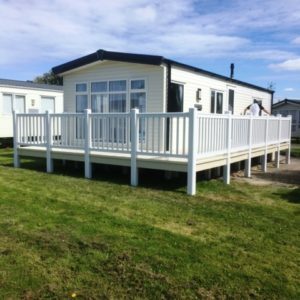 Dimension Sundecks is a specialist supplier and installer of uPVC decking solutions for a wide variety of applications, covering gardens, parks and caravans. 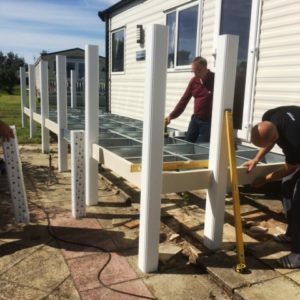 Based in the North East, the company covers the whole of the North, with design and installation teams ensuring customers receive the most creative, low-maintenance and cost effective solution for their project. 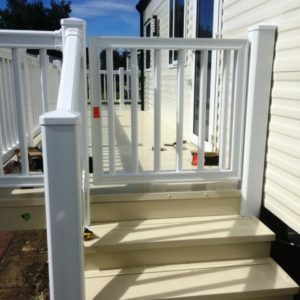 Having installed Liniar uPVC decking systems for many years, the company is geared up to order, stock and create entire decks to bespoke colours and sizes. 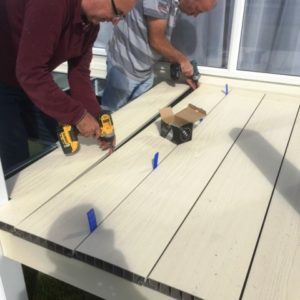 So when Liniar launched its new decking in kit format, what made this experienced company try one out? June Matthews, owner and MD of Dimension Sundecks, explains. 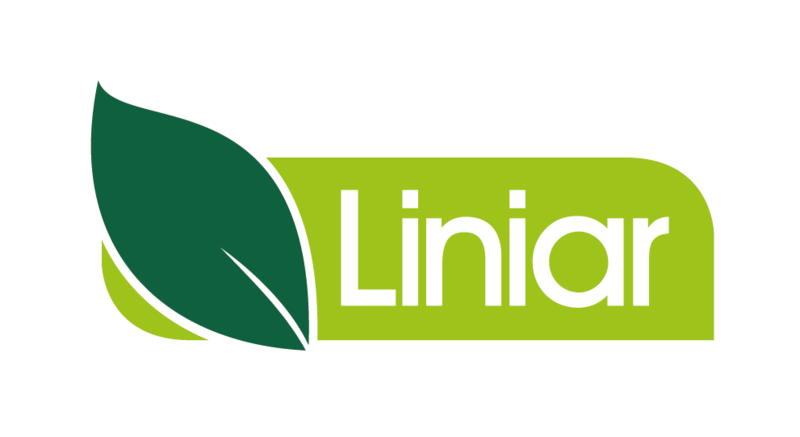 “We believe Liniar is the most innovative decking system on the market and can be used in many different ways. 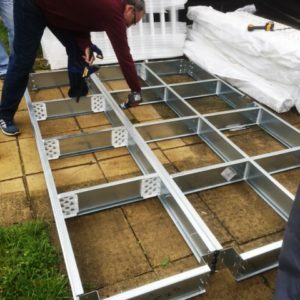 It comes with a galvanised steel sub-frame, so there are no parts to rot away underneath, and is fully tested for fire safety, loading and non-slip properties. “Quite often, we receive an order for something out of the ordinary, or a colour we don’t usually stock,” continues June. 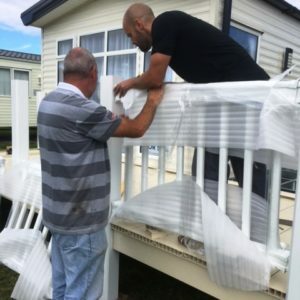 “This means we have to order full packs, with the uncertainty of never knowing when we’ll be likely to use up the rest of the deckboards or balustrades. 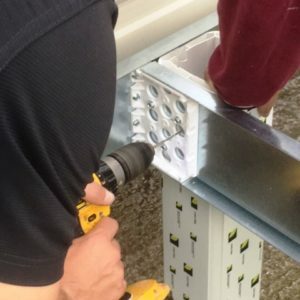 “So when my Liniar rep told me we could now order in kit format, we decided to place an order to see whether it really would save us time and money – and I was blown away by the results. “When the kit arrived, everything was well packaged and protected. 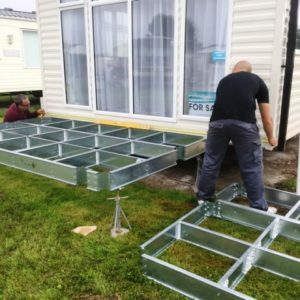 Both steel and deckboards themselves were cut to the exact sizes needed, with the sub-frame already part-assembled – so it was a very quick job to put everything together. The balustrade came in ready-made sections, so we didn’t have to cut it to size or attach the pickets to the top and bottom handrails; both usually time-consuming tasks. 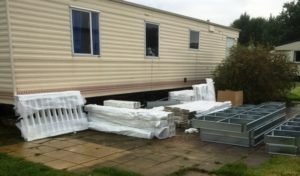 “It was amazing how quickly everything went together once we’d unpacked – and there was far less noise and mess than we’re used to when installing a full deck, as there was hardly any cutting involved on site – so everyone around us was happy too! There’s more information on Dimension Sundecks here or call 0191 489 9268. 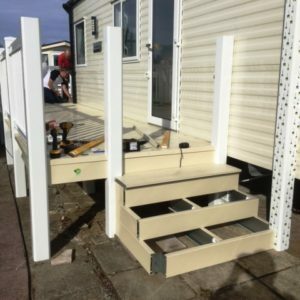 Find out more about Liniar decking kits and how to order a Liniar decking kits here.